Today’s guest post comes from Diane Tarantini. You can read more about Diane in her bio at the end of the post. Recently a girlfriend asked how I get so much accomplished with three children and a husband, all with busy schedules. “I beg to differ,” she said. Within a week, another friend posed the same question. This made me consider how I live my life. Imagine my surprise when I discovered, I’m not undisciplined. Disorganized? Maybe. Easily distracted? Definitely. As I thought about this, my focus shifted from what I do wrong to what I do right. I think the key is my minimum standards. Every day, certain things are for me, non-negotiable. For instance, each morning, Monday through Friday, I have a “quiet time” which includes three activities. First, I record blessings in a notebook (Thank you, Ann Voskamp and your book, One Thousand Gifts, for inspiring this practice. It is an awesome attitude-adjuster.) I also read a section of scripture (Currently, I’m reading through a chronological Bible.) Finally, I pray using a prayer list. 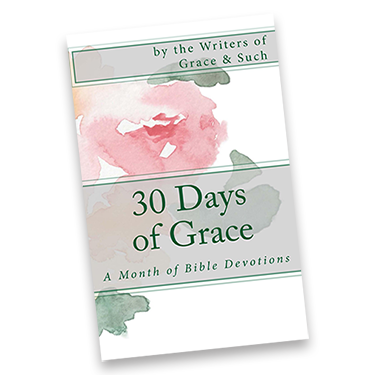 I learned this technique from Bible Study author and teacher, Beth Moore. A prayer list is an excellent way to ensure prayer needs are not forgotten. Plus, highlighting prayers that get answered is a fantastic faith-builder. How else am I disciplined? Though our house is far from spotless, I try to keep our bathrooms presentable, the kitchen too. However, credit for the kitchen has to go to my husband. Almost every night, he cleans the kitchen after supper. Trust me, a couple of times a year, that fact gets noted in my blessing notebook. Years ago, one of my good friends shared her #1 housekeeping secret with me. “Focus your cleaning efforts on the first floor of your house. Rarely do people go upstairs to the second level or downstairs to the basement.” To this day, I follow her advice. Then when I have time, I deal with the second floor. And the third. Then the basement. If you stop by, don’t go in the basement. Please! Another almost unbreakable discipline in our home is eating supper together. Studies show that families tend to be healthier—emotionally and physically—when they share a meal most nights of the week (The Family Dinner Project). Last year, our oldest daughter surprised me when home from college on a visit, she spoke to her younger brother across the dinner table. “Don’t think that every family does this. Most of my friends do not eat with their families every night. This is special.” A related discipline is praying together before supper. For as long as I can remember, we have taken turns saying grace before eating. Everyone prays differently and it is always sweet to see what is on each person’s heart. I also floss my teeth and wash my face every night. And I do at least one load each of whites, darks, and medium laundry every week. 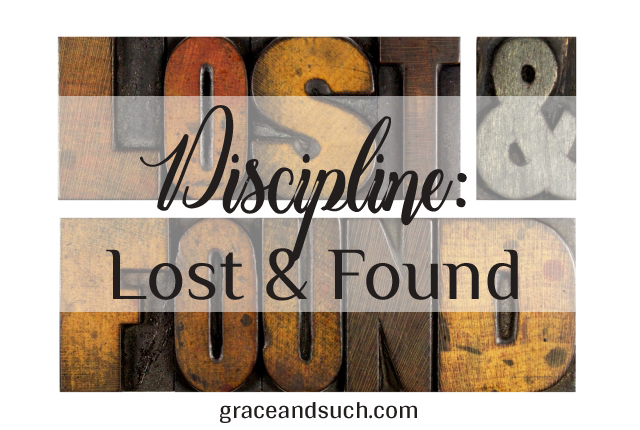 These disciplines don’t seem as “godly” as quiet times and dinner-time prayers, but they do reflect discipline. Maybe I should develop the discipline of giving myself credit where it’s due. What about you? Are you highly organized or the total opposite? Do you also have your own list of non-negotiable daily and/or weekly tasks? We’d love to hear your thoughts on discipline. Thanks, Diane. We so often get caught up in what we don’t do well that we overlook that there is some stuff that we knock out of the ballpark. You have a few great ones, and the discipline to not major on those minors (like the basement!). Great perspective! Love this. It’s so easy to focus on the negatives, even when there are so many positives. I need to start jotting down blessings in the morning. Great idea! I kind of feel like I should print this and post it on my bulletin board as a check list of sorts. Thanks so much for writing this! Thanks, you all! I feel so loved:) Want another Quiet Time tip? I heard this on KLOVE a few weeks back. Whenever you are reading your Bible, if you’re a Bible-marker-upper, highlight the promises of God. Sometimes I even say them out loud, inserting my name where appropriate (ie. instead of “you” or “my people”). A prayer list is a great idea, and one to which I have been semi-faithful at best. I tend to pray for things as soon as I hear about them, but tend not to record them. Thanks for the inspiration. I love the idea of non-negotiables – such a super way to focus efforts, to feel accomplished, and to clear white space in the brain. Years ago, I followed the Flylady, who essentially espouses a routine, and it really helped me get through those years with young children. And, we did work at eating together. I hope my teens (nearly 18 and 20) will remember those times. We don’t eat as often as a family any more (sad panda). BUT, we used to. And, I tend to make one night a week a non-negotiable dinner together night. With that and intentional 1:1 time between my spouse and I and our kids, we hope to maintain those heart connections. Lots of fantastic info in this post. Thanks for your post Diane! As my kids get older (22 & 17) I sure do miss our family dinners together as our evenings are now split between sports, work, volunteering. We do eat together once or twice a week and I’ll take what I can get as I continue to adjust to our changing family dynamics. Love your focus on what you can and will do and not on what you have to do. It puts the control in your hands. I’m spotty at best with my written prayer list, my husband is so good about it, I need to get back to it.